Today’s project is to photograph stacks of things in my studio. 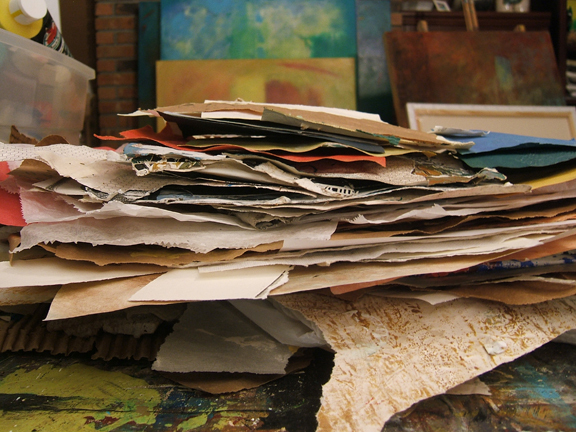 I love to look at stacks of paper, canvases, books, magazines, and just about anything else creative one can imagine. 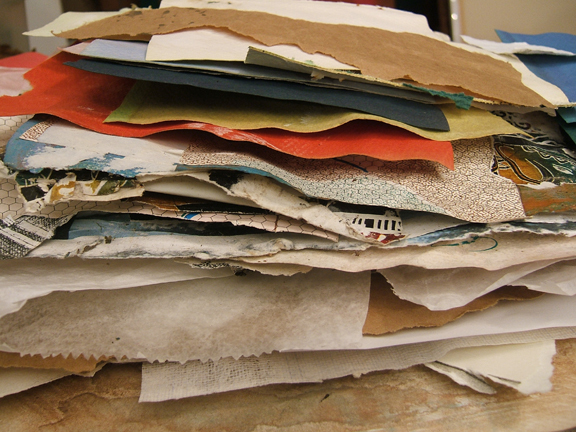 These are some of my papers, most of them hand painted, handmade, weathered, or a combination of each. And a few of my baby canvases at different stages of completion . . . 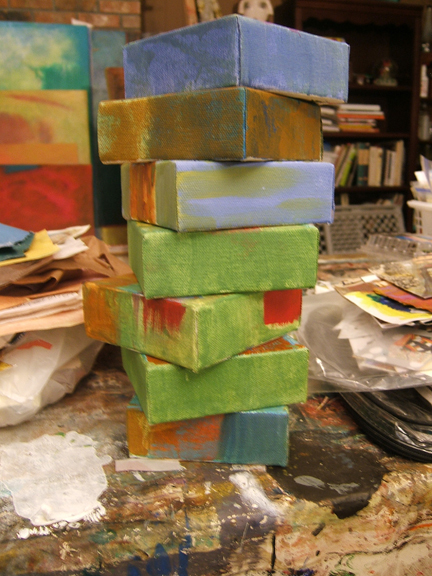 If you want more stacked inspiration, go to Seth Apter’s blog post today at The Altered Page for more artists’ stacks. I can never get enough of looking at the things artists like to stack up in their studios. Beautiful eye candy and inspiration too! I’m headed over to Seth’s blog now to feast my eyes on some other artist’s stacks. I know I’ll be inspired by all of them. Those stacks of papers are calling out to be used. And those canvases are so colorful and fun. Thank you Seth. That’s precisely why I can’t bring myself to ever put them away! beautiful and very inviting stacks you have there! Thanks so much for visiting, Patty! Glad you liked my stacks. Yours are fab too. Thanks Annie! I can’t wait to get my hands through it! I do, Heather! I love everything about paper. Thanks for stopping by and commenting! great stacks! …and I gotta say, the surface beneath your canvases looks intriguing too! Thanks Dianne. So nice of you to stop in. Glad you like the table cover. It spent its first life as a shower curtain!